Tourism, as an economic development tool, at times gets a bad rap. Opponents focus too much on the low wage service jobs generated by the hospitality industry and fail to see the larger value of tourism to many successful regional economies. 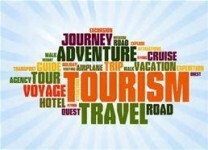 Tourism is a critical element to the quality of life a region offers its residents. No one questions that a region or state’s quality of life is a major factor in its economic success. First, natural amenities affect population growth and natural amenities are often central to tourism. Regions with warmer climates, mountains and beaches have been the growing areas in the United States for well over 50 years. The widespread use of air conditioning solved the challenge of warm summers and large concentrations of customers have been following the sun for decades. Tourism also benefits urban and rural markets. Big cities are not the only location where tourism impacts the economy. New York City, Chicago and San Francisco certainly have a substantial economy, built in part on a billion dollar convention and visitors program. However, rural economies with mountains, rivers and beaches also have a larger number of jobs and wealth created based upon visitors spending freely on vacation and second homes. These amenities act as “export” opportunities for land in rural communities. For example, state parks in rural Georgia produced nearly $65 million in gross economic output. They are an important economic development tool for a region with few customers and little wealth otherwise. Tourism also provides economic opportunity for workers with less than a college degree. Eighty percent of the American economy is in the service industry. It now takes 140 workers to manufacture what it used to take 1000 workers in 1950. The challenges of low wageworkers in global locations, a 21st century economic reality, are that jobs are needed for workers starting on the economic ladder from an academic standpoint. Jobs in the hospitality industry, tied to the tourism trade, create that first step in the economic ladder for many workers. Wages in this industry are not high like in the advanced service industry. But with only 30 percent of Americans with a college degree and fewer manufacturing jobs available, the tourism industry is an economic outpost for many Americans searching for work. Natural amenities of a region also influence the larger economic development pitch made by regions and states to every company considering staying or locating in a region. The workers for regional companies also enjoy the same natural amenities developed for the tourist market. Surveys of corporate site selectors consistently show that the quality of life of a region affects the company location decision. Now all communities claim to have a great quality of life but regions developing their natural amenities can illustrate how their region provides access to them. More importantly, quality of life as a factor in economic development decisions varies in relevancy among industries, but is important to workers in the high-wage, high-tech sector dominated by highly educated and mobile workers. America is a mobile society with transportation and telecommunications networks connecting everyone. Consumers and companies maximize the utility of goods and services through their decisions as to where to locate. This mobility illustrates the relevancy of tourism for successful regional economies. Finally, tourism can be a dominant feature in a region’s economic success. The prime policy argument in favor of recreational amenities as an economic development tool is its ability to shift population. Look at Utah. Utah’s investment in winning the Winter Olympics continues to pay big economic dividends. The 2002 Winter Olympics at Park City turned into a global tourism model for regional economic development on the backs of impressive mountains and skiing. Park City also offers a downtown hospitality experience that made the region a destination point. Utah’s skiing industry has an economic impact of $1.6 billion. The 2002 Winter Olympics and the global media coverage turned this sleepy village just outside of Salt Lake City into a global tourism powerhouse. The economic impact of the 2002 Winter Olympics included $4.8 billion in sales during the Olympics, but there was more than a 25 percent hotel room increase from 2002 to 2009. The statewide hotel occupancy increased from 58.8 percent in 2003 to 59.7 percent in 2010 based in large part on tourism tied to skiing. Direct expenditures from skiers and snowboarders increased 67 percent from 2002- 2003 through 2010-2011. The Park City/Salt Lake City region is proof that tourism can create wealth and major events, such as the Olympics, can be used to launch such an initiative to new heights. Tourism is rarely the total economic answer for a region or state. However, one industry is rarely the total economic panacea for any region or state. Tourism impacts the economic growth of a region by creating a better quality of life, offers jobs to those starting on the economic ladder and can create billion dollar industries often tied to major regional investments.